There is much that is known about the use and benefits of the Bar Code in various segments of the economy, facilitating, energizing and streamlining processes. With the passing of time, the Bar Code also reached the patrimonial sector of companies, through the plates of assets that are fixed on goods such as machines, utensils and equipment in general. Thus, already in the decade of the 90, the companies began to receive the plates of patrimony with bar code. The bar code is the numerical or alphanumeric representation of each asset that has been registered in the accounting. 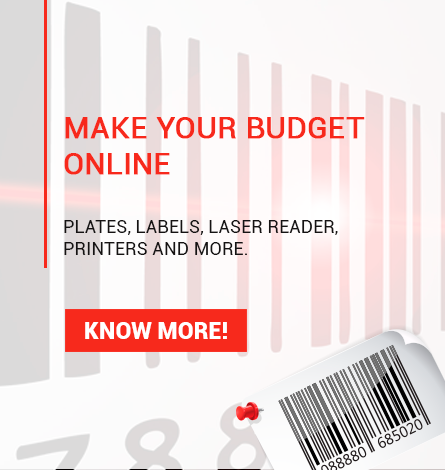 With heritage plates with a bar code it is allowed to count the assets more quickly using an optical reader that reads the barcode and stores the data in the memory, then the data is transferred to the wealth management system the company. The ISO 9000 standards, for private companies and the Court of Accounts of the Union for government agencies, both recommend that the plates or labels for the estate be with the bar code. The constant evolution of the technologies and the growing demand for the use of the bar code as a rationalizing instrument and streamlining of processes, has led us to focus on complete solutions to automate the patrimony of the organizations.